NOW TAKING BOOKINGS for 2019 - BOOK NOW & SAVE £'s. 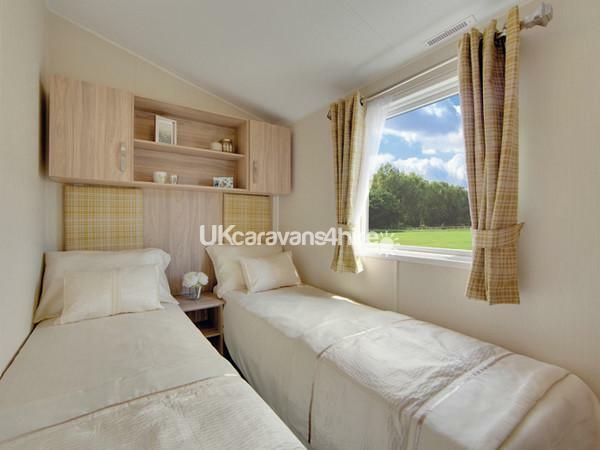 Only £60 deposit per week! 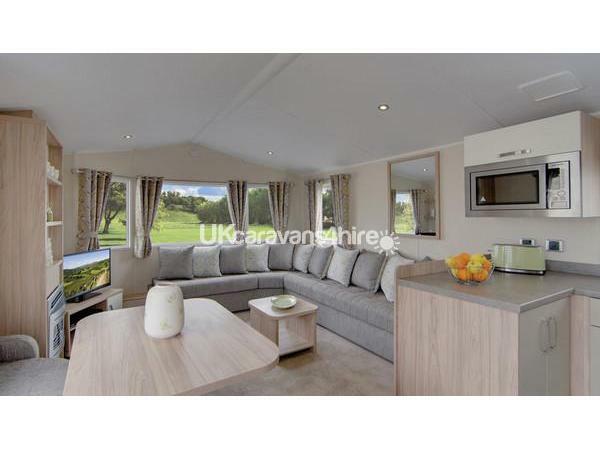 This home is a Willerby Rio Premier MODEL which is the same as Waterside Holidays 'Superior Caravan Model - 3 Bedroom /37 FT with 2 WC's Full integrated Fridge Freezer, Microwave & EXTENDED Decking plus a rattan outside sofa and dining table and chairs with great views - New flat screen TV and DVD. There is a comfortable dining area inside the home ideal for families to enjoy their food together. 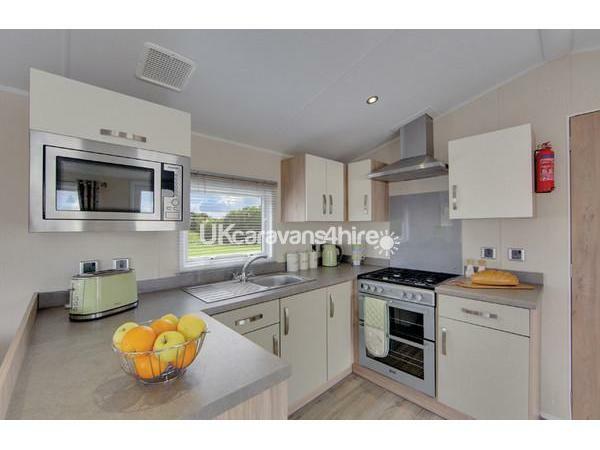 This caravan has both stylish and practical decor with fresh zesty colour theme throughout. Set in the Orange Park with view over the Dorset Countryside - 7 mins walk from reception and nearest bus stop in a quiet area away from the busier site bus route. 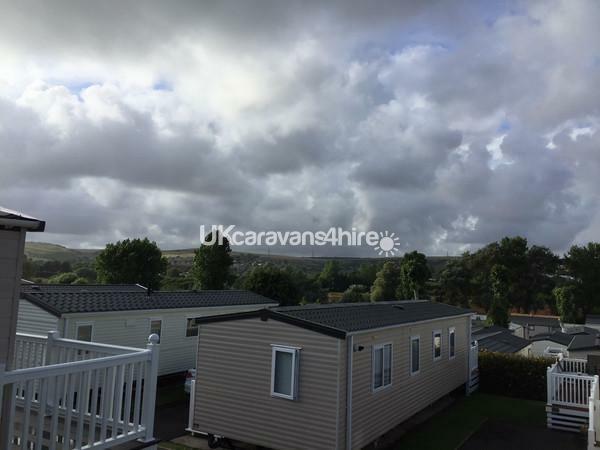 Waterside Holiday Park is an award winning 5* Holiday Park & Spa with 5* facilities right on the beach in a perfect position to enjoy the Jurassic coastline right in the middle of a fabulous holiday destination- Weymouth. Our accommodation is of the highest quality offering a spacious modern living, fully fitted kitchen and spacious dining area for all the family. 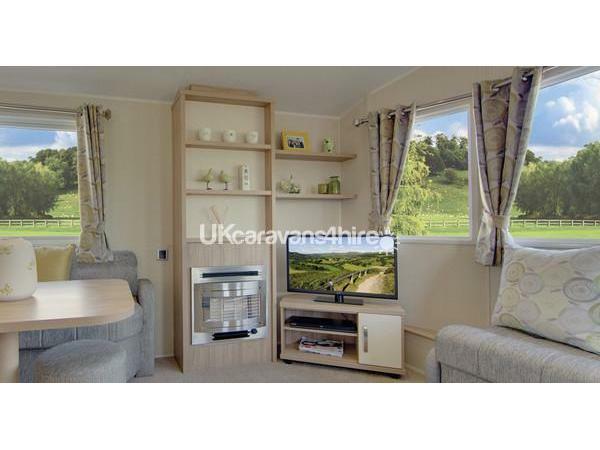 A truly comfortable caravan well equipped with everything you need for your holiday with 3 bedrooms in total one double with ensuite WC, Dressing table and two twin rooms. 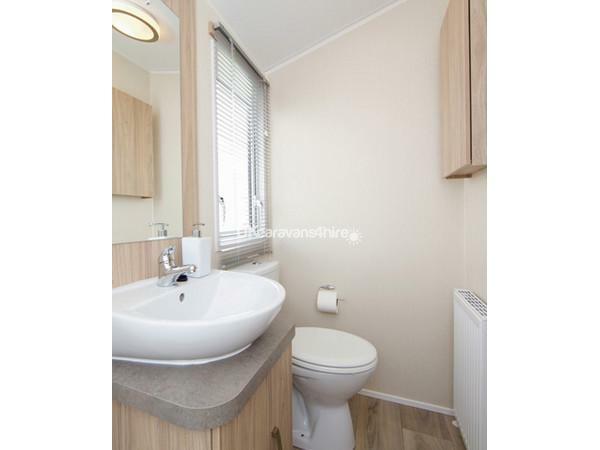 There is family seperate shower and 2 WC's and central heating and a real glow fireplace for that extra home comfort. 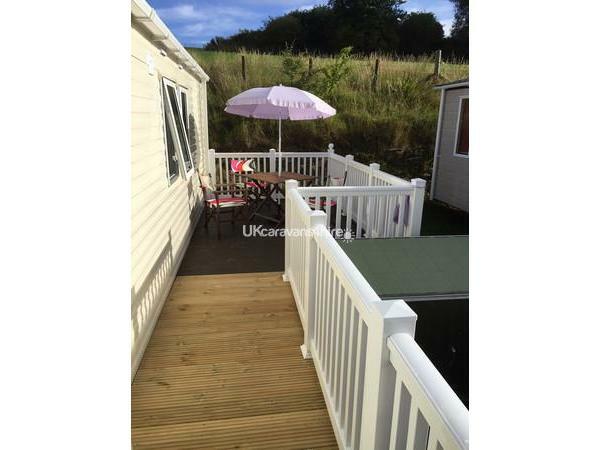 This home has outside decking with sunshine from morning until sunset and ideal for dining and sunbathing for all the family. 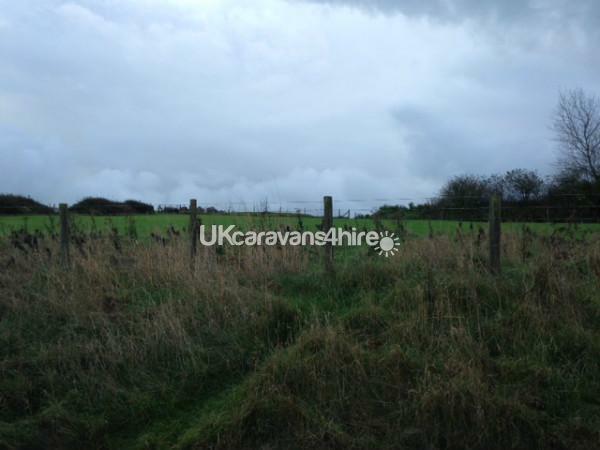 Our accommodation ins an elevated pitch away from the main bus route and backs on to fields. 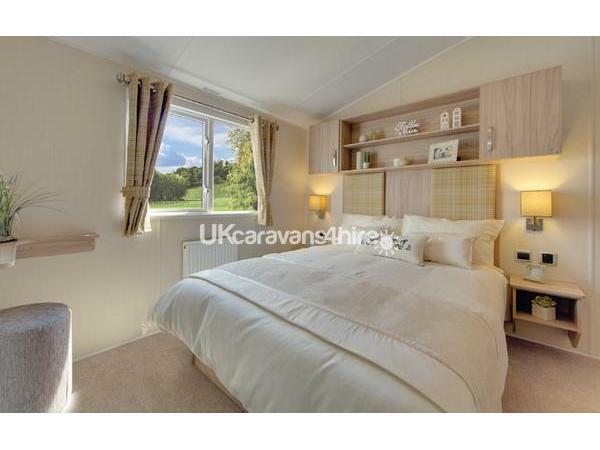 Waterside Holiday Park offers 5* facilities there's fun for all the family with a leisure complex and pools, state of the art gym sauna, steam room. The facilities are of the finest too with entertainment that the whole family can enjoy from tribute bands, talent shows, karoke, comedy, cabaret and much more. Bowleaze Cove an exceptional base to explore glorious Dorset and all the attractions it has to offer. For children there is a modern soft play area and a family fun club for the children. There is so much to choose from for dining, sports bar with HD TV and Sky TV plus a diner and takeaway plus The Waterside Restaurant with extensive menus on offer for all the family we believe your holiday experience will be of total enjoyment and fun for all the family. There is also there are many children activities at Boomer's Fun club including competitions, kite flying and so much more. Waterside 5* Holiday Park & Spa provides everything you need for a perfect holiday on the Jurassic Coast. All tariffs include Waterside Entertainment passes allowing entry to all bars including the new Sports Bar and entertainment areas as well as the venue. Please note that there is an extra charge for the indoor/outdoor pool complex and gym and for the adult spa. Deposit of £60 is required per week and balances are due 10 weeks before arrival. 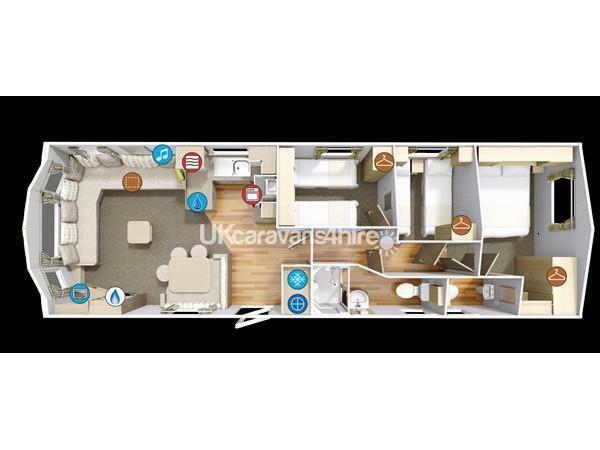 Maximum capacity is 6 persons at this caravan unless stated and agreed at time of booking. The Park offers a nightly entertainment program and take away. Once you have visited Waterside you will want to come back time and time again!